In this section you'll find rubber powered model airplane designs by past and present OCD members. In most cases, the plans presented here are OCD exclusives. Designers with three or more plans are presented on a separate "Collection" page. Class C rubber powered cabin model. Winner of 1940 West Coast Championship. SAM approved O/T design. Wing area 147 sq.in, 36.4" flat wingspan. P-30 Class rubber powered model. 30" wingspan. 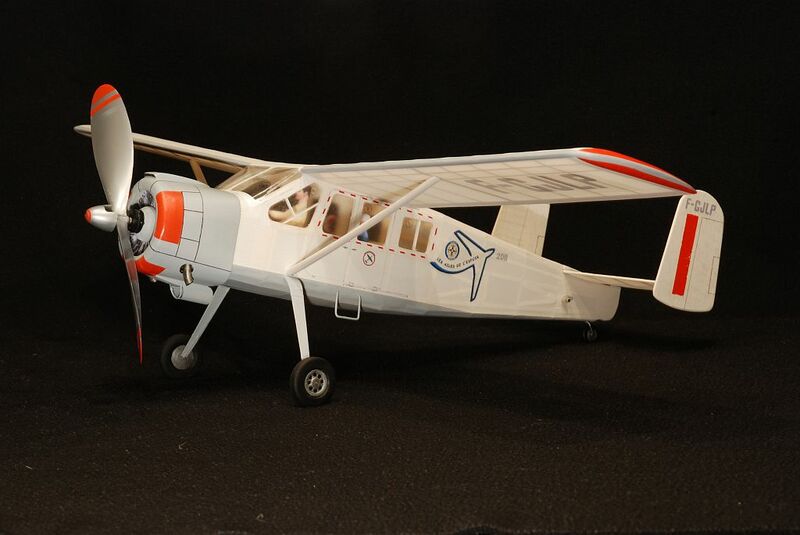 Scale model of 1950s French six-seat utility monoplane with excellent STOL capabilities. 25.4" wingspan. Scale model of the German single-seat, single-engine fighter aircraft of WVII. 35.4" wingspan (1" = 1' scale). Scale model of the Russian single-seat, single-engine fighter aircraft of WVII. 30" wingspan. A high performance P-30 that can be built without plans. Building instructions here.